This blog will feature 4 stories in total. We’re slowly but surely inching towards Fall 2013, which means we’re delighted to start seeing new fantasy, undertones, and a layer of magic into the wedding favor ideas! First up are the handmade favors. From etsy.com to diycrafts.com, there are so many websites with many talented people and their handmade crafts. I am dazzled to see what they come up with then wonder if I can do the same. Hello to the birds and the bees. Don’t swat away the birds and the bees. I was on a Spanish hotel website about a two weeks ago when I saw these beautiful bird shape coasters on a picture. I thought to myself how about giving these beautiful handmade ceramic birds as wedding favors. The birds are a favorite of Ayse and she had been telling me all about how birds are all around us. Now I pay more attention to these handmade figures and artwork. The birds are cute. There is an invisible demand for the decorative pieces, the bird houses, or the bird cages in Turkey. To think about it, one can picture them incorporated into elegant centerpieces, hanging chandeliers, gathering napkins and folding up the chair ties. The bird crafts can help ties a themed wedding together. Perhaps one day a pink, orange and them the rest will follow. Your guests will always have something to remember your special day by, something that is more practical and functioning. The birds exist all around us in different sizes and colors. We feed and tend to them even if we have no special connection. They seem to be flying across the electric wires and singing the love wishes as the most popular wedding and birthday favor trend of Fall 2013. As you plan and prepare for your wedding day, you’ll be running down the list of various to-dos and supplies to purchase for this momentous occasion. Wedding favors are among the various items to be budgeting and planning for as you design your ideal wedding and style vision. While wedding favors do not need to be anything extravagant, it’s a great idea to pick a wedding favor that guests can actually use and enjoy versus some dust-collecting little trinket. We love the idea of wedding favors that can serve as not only a wedding favor, but useable for your guests’ homes, kitchen , or bath are thoughtful and wonderful ideas that guests will love. 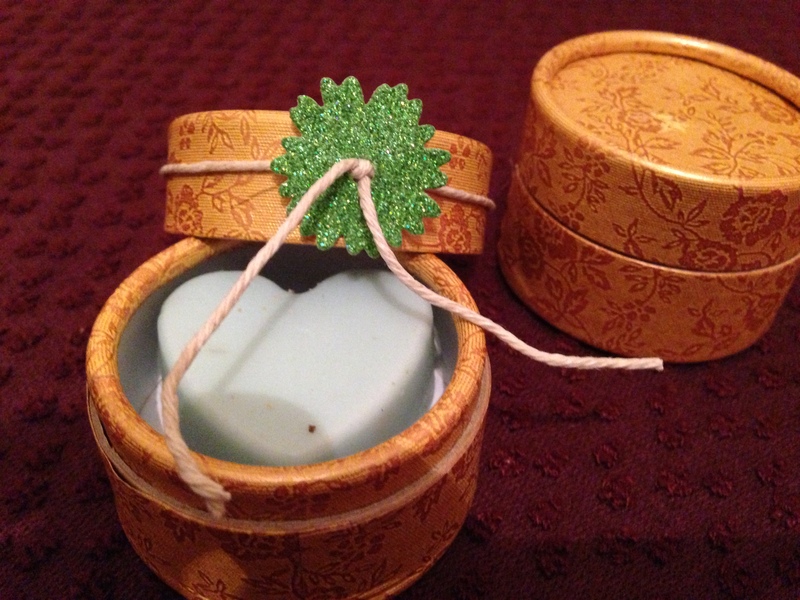 Wedding favors like organic soaps, Turkish herbs, and fruit oils are just a few of the great ideas from Ay Ben favors. Organic soaps are a fantastic wedding favor idea; you can customize the color and scent based on your wedding colors, style, and theme to match accordingly. Going organic is not only trendy, but is a thoughtful idea for your guests as organic products are far better than generic soaps. Scents like lavender and chamomile are relaxing and calming, while others that are more citrus based such as orange and lemon awaken the senses and are great for focus. Fruit oils are another great favor idea for wedding favor inspiration. Olive oil infused with enticing fragrances or citrus oils are usable for a variety of recipes and home uses and last a long time. Additional popular scents and fragrances include pomegranate, cherry flower, and mandarin. You can customize the packaging and display of all of theses oils as well to best serve your wedding theme and style you’re looking to create. Lastly, Turkish herbs are widely used for a variety of recipes and home uses. Herbs such as rosemary and lemon grass can be used for not only culinary purposes but also making the home smell lovely and homey. These wedding favor ideas are great for weddings of all seasons and styles. Your guests will appreciate the versatility and variety of uses for each of these ideas. Customize the display and presentation of any or each of these to best match your wedding vision and inspiration. Happy planning!